So our house has a basement. If you can even call it a basement. It's more of a dungeon. I refuse to go down there. In like a childish, stand at the top of the stairs and offer to hold the door open, and refuse to move--kind of way. I tried to take pictures for the blog so you could see how truly awful it is, but it was so ugly, I couldn't even get a decent photo. It was too dark, and nasty, and they all just looked black. And so, you will have to picture a dungeon, inside a cave, placed into a 1947 house. That is what our basement looks like. No lie. 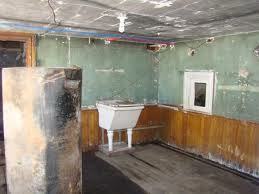 Jeremy thinks we should renovate it. I think the status quo is great. Lock the door, pretend it doesn't exist. My parents had a basement in their house that was also unfinished. 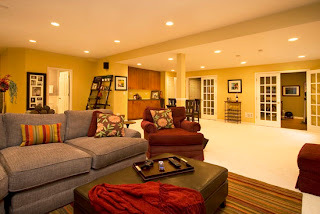 Much nicer, and at grade level, with big windows and doors, but nonetheless a basement. And still, to this day, I refuse to go down there alone. I hate basements. Hate. Jeremy believes if we removed some of the creepy factor, this could be functional space. I question his sanity. 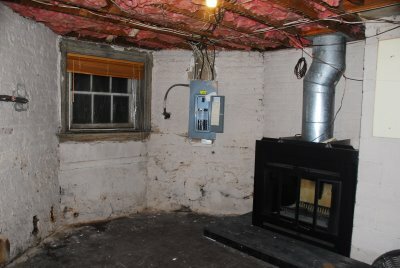 This is the single creepiest basement you have ever seen. So, Jeremy met with the basement remodeling guys this week to get a bid to renovate the basement. It's pretty reasonable, but here's my question. Will I ever use this space? Will I ever get over my total, paralyzing fear of basements? 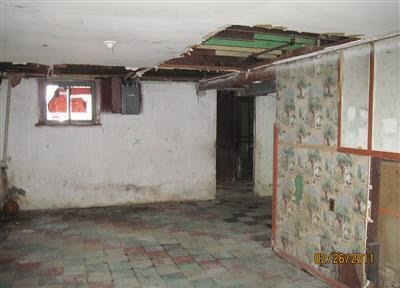 Is there like a recovery program for people who fear basements? It's one of those childish fears, like the boogeyman in the closet, that I never got over. So blog readers...what do you think? 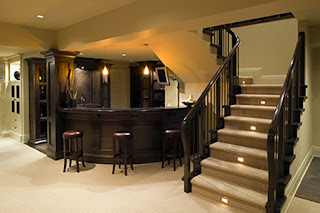 To renovate the basement? Or leave it in its current, dungeon-like state? Feedback time...what should I do? I really need to apply for one of those basement remodeling shows. Imagine the transformation! Come on HGTV, I know you're reading my blog. Finish my basement! 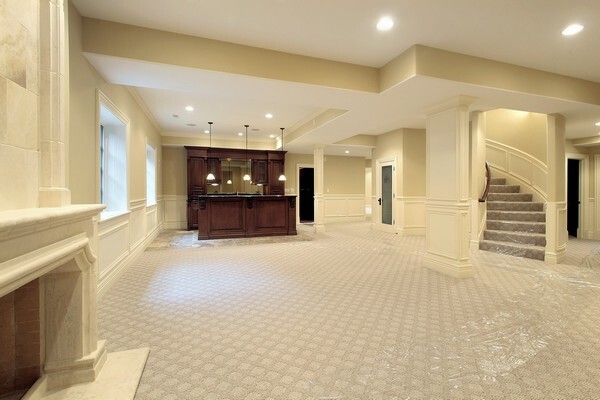 As a child who voluntarily played in a finished basement, I say, renovate the heck out of it! Make it bright and fun and not scary. Basements are a wonderful way to cool off in a hot summer house, or a cozy, safe place to be in a severe storm. Embrace the base(ment)! OR you could put in a bedroom and 3/4 bath for guests to have their own little space when they visit (aka me)! Buck up Frank and embrace the basement!